i want to invite you guys to have a look at the ongoing series of vintage doll and figurine portraits i’m currently working on. 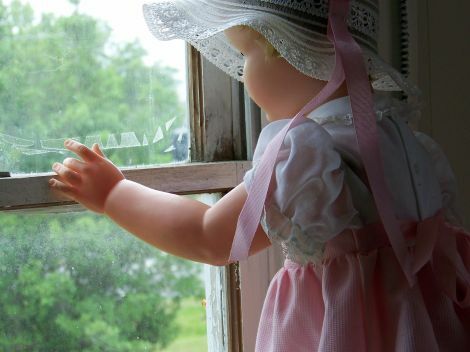 i photograph the dolls in their “natural habitat” at thrift and antique shops and do not pose them. sometimes the results are more surprising than i think they’ll be. Wow, these are great, Gigi. I can’t wait to see more! they look wonderful! your big project sounds exciting! 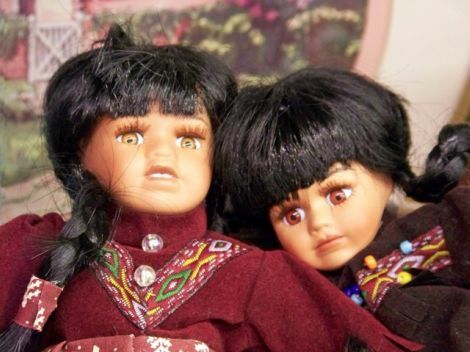 doesn’t that doll on the right in the last photo look so mad at the other one? 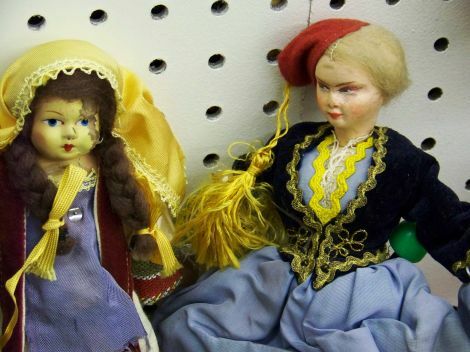 Some of these dolls look like they are pretty guilty. I think they may have murdered a teapot or two in the shops you’ve found them in. I hope you are only photographing them and aren’t bringing them into your home. so sad about those murders.